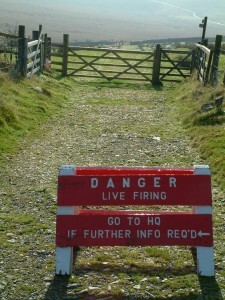 I’m Ian Jarvis and as you may remember from my previous blog I lead the DIO team at Dartmoor Training Area. We host units from all over the country as well as locally from the south west. 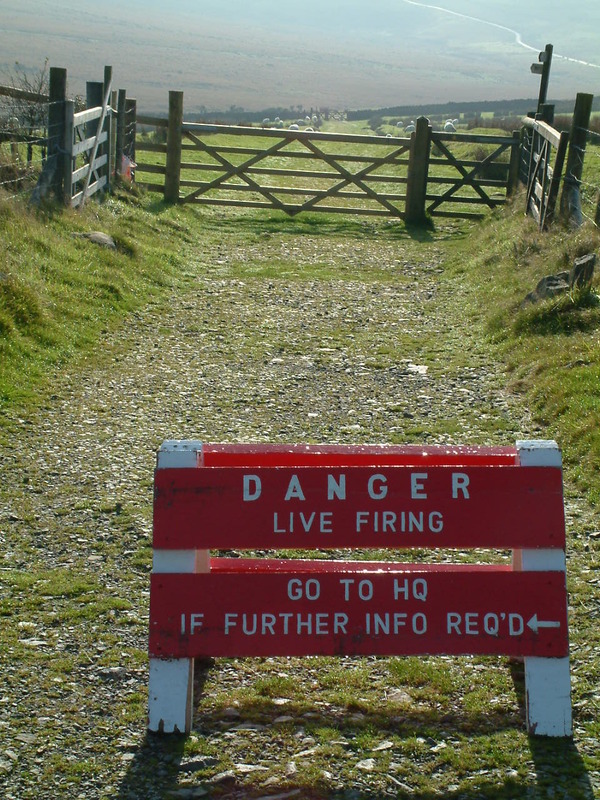 DIO manages the UK’s land, which includes training areas. 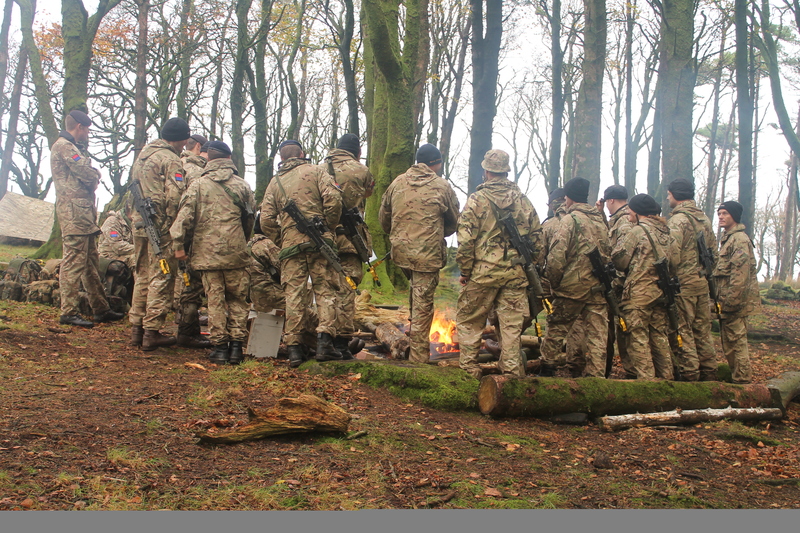 These are vital for the military to practise all manner of skills, from driving to bridge building and infantry manoeuvres to firing artillery. Unfortunately one result of this is that sometimes old shells and the like are left behind. Military training has taken place here since the 1800s and in the past the military was less careful to clear up after themselves than we are now. A couple of weekends ago Andrew from Plymouth and his friend Bruce were walking a popular route into Dartmoor and heading for Yes Tor. On a rocky track Andrew's attention was drawn to something he stepped on. This is what he saw. 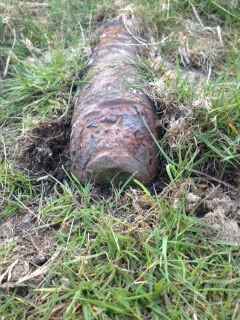 Unexploded ordnance spotted by Andrew and Bruce. If this had been you would you have known what to do next? Fortunately Andrew certainly did. 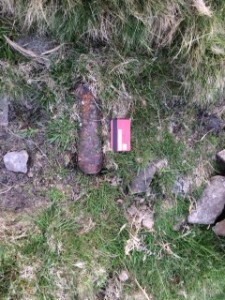 First he called in his find on the number given on all the notices put out for the Dartmoor Ranges. 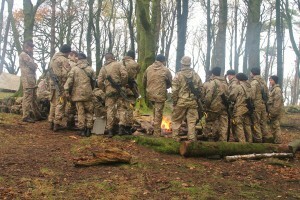 This is 01837 657210, as it was the weekend, he found himself connected to the 24 hour Ops Room, based on Salisbury Plain, which put him in touch with the Dartmoor Training Area Duty officer. During this first conversation, Andrew provided a six figure grid reference and a clear description from the map about the track he had been on. An eight or ten figure grid reference would have been even better but he had also built a small pile of stones, or cairn, to highlight the position of the item. A good set of photos then provided very useful information for the experts, with the card used to give scale a clever addition. Andrew used a bank card to give a sense of scale when taking photographs to report his find. 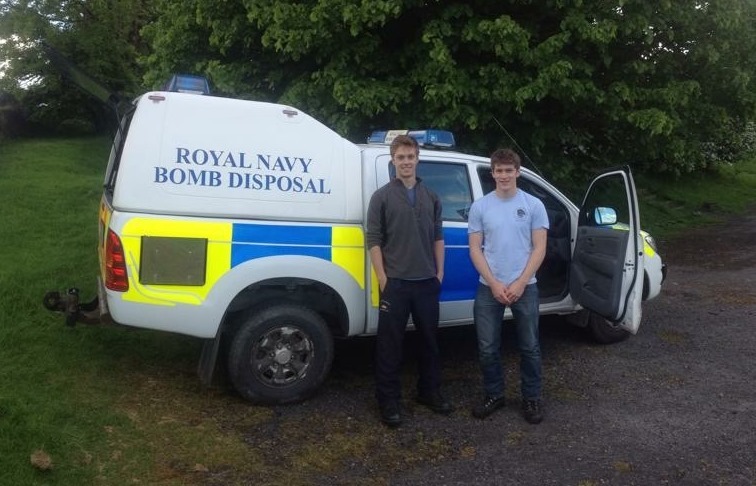 In this case the HMNB Devonport-based naval divers Explosive Ordnance Disposal (EOD) team was then activated by a call made by the Duty Officer and, as an added bonus, Andrew offered to meet the team and walk them into his find. Andrew and Bruce with the Royal Navy's EOD team van. The EOD team quickly made the decision to destroy the shell in situ. A really salutary lesson here is that even the EOD experts took no risks with this shell. While it is likely that it was only a practice round with no explosive content, they could not guarantee this was the case, and the decision to destroy it was quickly taken. If the experts can’t always tell if an object is safe, then no one else should think they can and risk their lives by handling these objects. 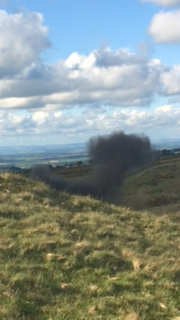 Smoke rises from the destroyed shell. "The chaps from the Royal Navy EOD team dealt with the shell in a very safe and controlled manner. They were very approachable and keen to see what we'd discovered, despite joking that it may have just been a rusty thermos flask! They are an absolute credit to the Royal Navy, and it's a relief to know that they are ready and willing to respond to anything suspicious." Well done Andrew, and thank you!